Effective schools establish links and build relationships with a broad range of people and organisations to expand opportunities and improve outcomes for their students. 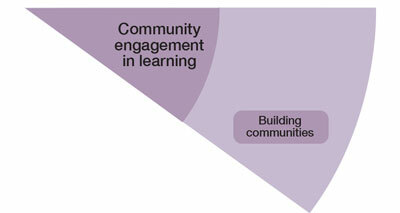 They recognise that developing relationships with the local community, business, government, community organisations and other education providers, strengthens the capacity of schools and families to support their students’ learning and development outcomes, as well as having the potential to enhance social inclusion and build social capital. These relationships provide access to expertise, facilities, resources, support and services, opening up additional opportunities for students to reach their full potential and achieve outcomes. The following case studies are examples of how schools in Victoria are implementing the FISO dimension: Building communities.